Trina Braxton is an American singer, actress, and reality television personality. She rose to prominence as the founding member of R&B group, The Braxtons, formed with her 4 sisters. She is the younger sister of R&B singing icon Toni Braxton. The group released only their album, So Many Ways in 1996. She later pursued her solo career. 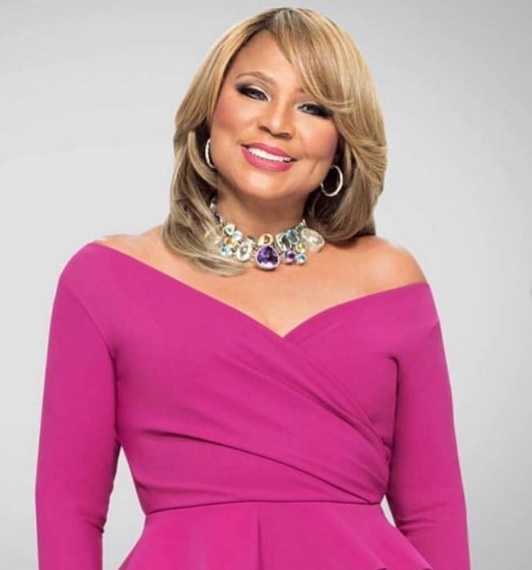 She reunited with her sisters in 2011 for the WE tv reality show, Braxton Family Values. She is the co-host of "Sister Circle" talk show for the TV One and TEGNA networks since September 2018. She starred in several movies. She has also launched a line of hair and bar company. She has over 965k followers on her Instagram. Trina Braxton showed off her new diamond engagement ring at the premiere of the sixth season of Braxton Family Values. The 44-years old singer got engaged to Von Scales on a family getaway to California wine country. The entire Broxton family was on a birthday trip for Tamar and Traci. Talking about her engagement at the premiere, "We were in Napa Valley, you know, all the girls were together, we were filming and he just kinda, like, plopped the box on the table and just, I lost it, totally, fully and completely." The mother of two also talked about the death of her ex-husband, Gabe Solis. She said, "You know, we're getting older now and ever since my ex-husband, Gabe, passed away, I just realized how short life is. You know, the foolishness is just unnecessary and as long as we have breath in our bodies, there's always time to make amends and reach resolve." Her ex-husband died battling with cancer in December 2018. They got divorced earlier in 2015. Gabe's death and Trina's grieving process is expected to be featured heavily on upcoming series on the Braxton Family Values. What is Trina Braxton Famous For? - Founding member of R&B group, The Braxtons. - Sister of R&B singer icon, Toni Braxton. Where was Trina Braxton Born? Trina Braxton was born on 3 December 1974. Her birth name is Trina Evette Braxton. She was born to a father, Michael Conrad Braxton, Sr., and a mother, Evelyn Jackson. Her birth place is in Severn, Maryland in the United States. She holds American nationality. His zodiac sign is Sagittarius. She has 5 siblings, a brother, Michael, Jr., and 4 sisters, Toni, Towanda, Traci, and Tamar. She grew up in a strict religious household. She first performed in her church choir. Trina along with her sisters formed an R&B group, The Braxtons in 1989. They signed a record deal with Arista Records. The group released their first single, "Good Life" in 1990. It peaked at No. 79 on the Billboard Hot R&B/Hip-Hop Singles chart. Artista Records later dropped The Braxtons. Toni left the group and signed a record deal with LaFace Records in 1991. The Braxtons became the backup singers for Toni numerous times. The Braxtons signed a record deal with LaFace in 1993. The group never released an album or single from the label. The group signed a record deal with Atlantic Records. Traci Braxton left the group in 1995 to pursue a career as a youth counselor. It was later revealed that she was not allowed to sign with Atlantic because of her pregnancy at the time. Trina, Tamar, and Towanda released their first album, So Many Ways in June 1996. The album peaked at No. 26 on the Billboard R&B/Hip-Hop Albums charts. They performed the remixed version of "So Many Ways" with rapper Jay-Z in September 1996 at the Soul Train Lady of Soul Awards. The single was used as the opening track for the soundtrack to the comedy film, High School High. The group parted their ways as a group in 1997 after lead singer Tamar Braxton left the group to pursue her solo career. She appeared in the play, Meet the Browns in 2004. She starred in an off-Broadway production of Dreamgirls in 2004. She was the host for the unbroadcast Urban Idol for UPN. She started her solo career in 2012. She signed a record deal with Soltri Entertainment. She released her solo debut single, "Party or Go Home" in March 2012. She guest starred along with her sister Tamar on TV Land's new sitcom, The Soul Man. She landed the role in the TV movie, Where's The Love in 2014. The group including all 5 sisters released Braxton Family Christman in October 2015. It debuted at number 27 on the US Billboard R&B/Hip-Hop Albums. She is the co-host of "Sister Circle" talk show for the TV One and TEGNA networks since September 2018. She starred in the stage play, Head Over Heel in October 2018. She is the co-owner of the recording studio 'The Bass Mint' located in Atlanta. She is the founder of the production company, Soltri Entertainment. She launched a hair collection line in 2014. She had launched her bar-company Bar-Chix. Who is Trina Braxton Married to? Trina Braxton is engaged to Von Scales. The couple got engaged in April 2019 while on a family getaway to California wine country. Previously, she was married to Gabe Solis. The couple married in August 2003. The couple got divorced in 2015. Gabe died battling cancer in December 2018. She has two children, Eric and Caleb. What are Trina Braxton's Body Measurements? Trina Braxton stands at a height of 1.68 m i.e. 5 feet and 6 inches tall. She has a body weight of 68 kg. She has a slim body build. Her body measurements are 35-26-34 inches. She has dark brown eyes and her hair color is also dark brown. 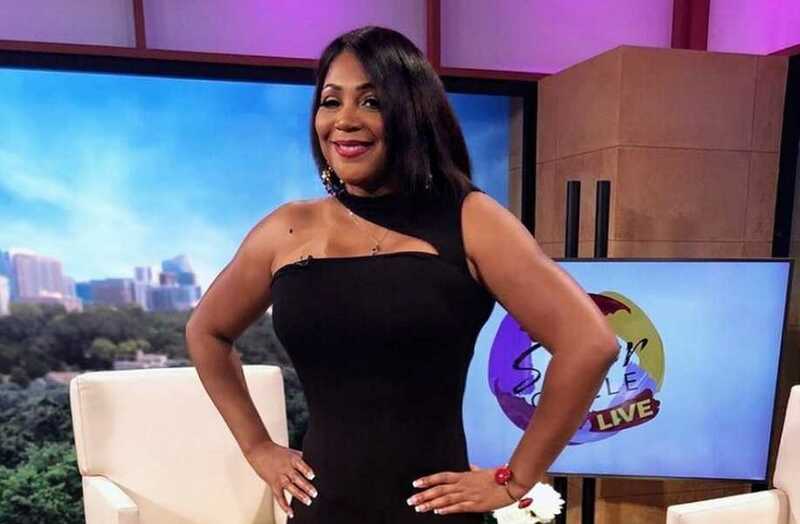 What is Trina Braxton's Net Worth? Trina Braxton is one of the popular singer, actress and reality television personality. She earns working in the entertainment industry. As of 2019, her net worth is estimated at $1.5 million. Her father was a Methodist, whereas her mother was a former opera singer, cosmetologist, and a pastor. Her maternal grandfather was also a pastor.